MDPC’s Young Adults want our one and only life to make a difference! We recognize that our 20s and 30s are foundational years of our lives and we want to live them to the fullest. This is when we are exploring and establishing our careers; dating and getting married; experiencing the sting of rejection and the grief of tragedy; putting down roots, and becoming moms and dads ourselves. We believe now also is the time to make our faith our own by taking an honest look at what we believe (and why), and how we want to live as a result. Whether you’re just beginning a faith journey with tons of questions, looking for friends to worship with on Sundays, want to find a bible study or kickball league to add to your week, or just need someone to talk to, we’d love to get to know you! 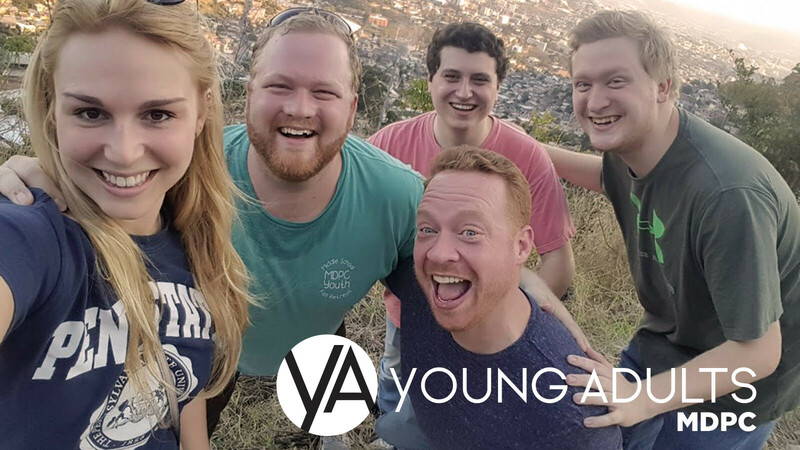 For the most up-to-date info on what MDPC YA’s are up to, join our Facebook Group.